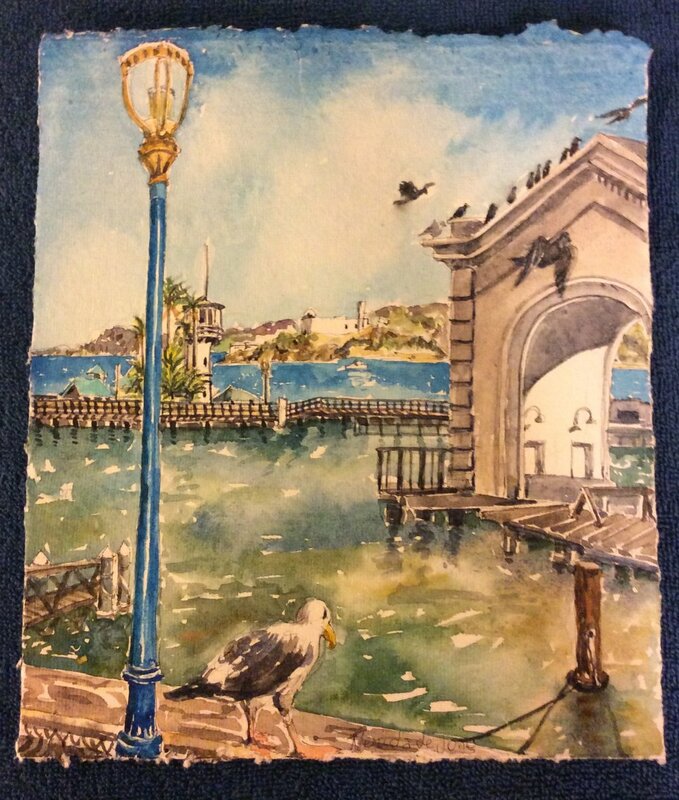 Late 2017 and early 2018 saw Nerida visiting her family in Australia. 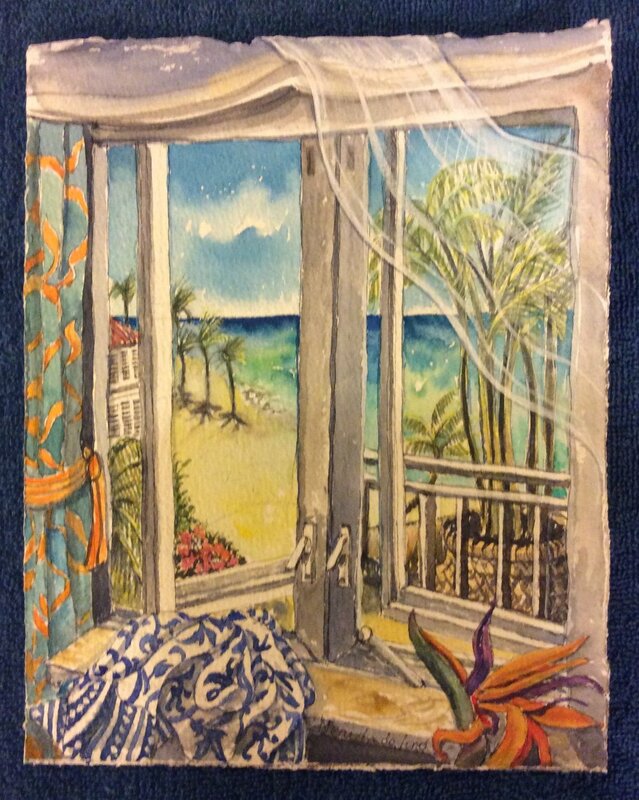 Making the journey by sea she was able to stop in many different places and of course wherever she stopped she painted impressions of each place. 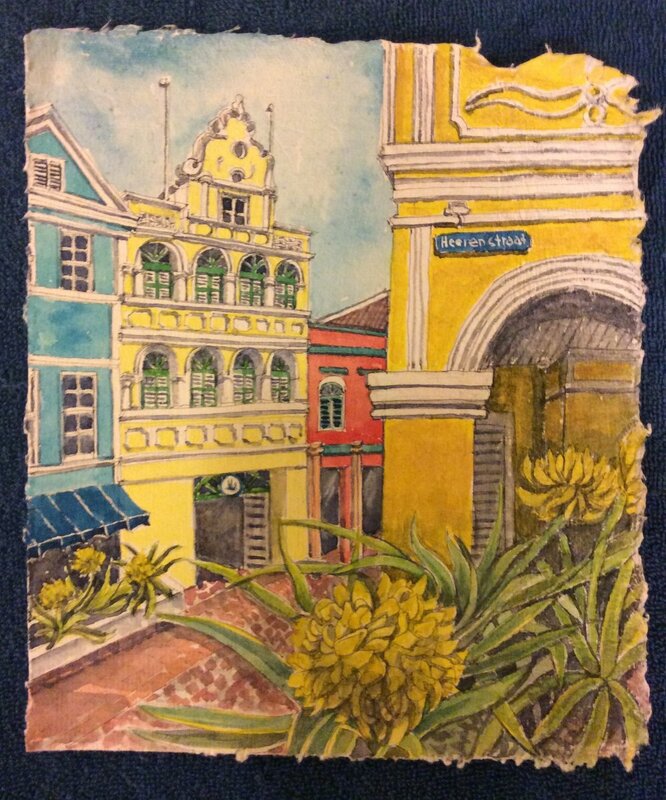 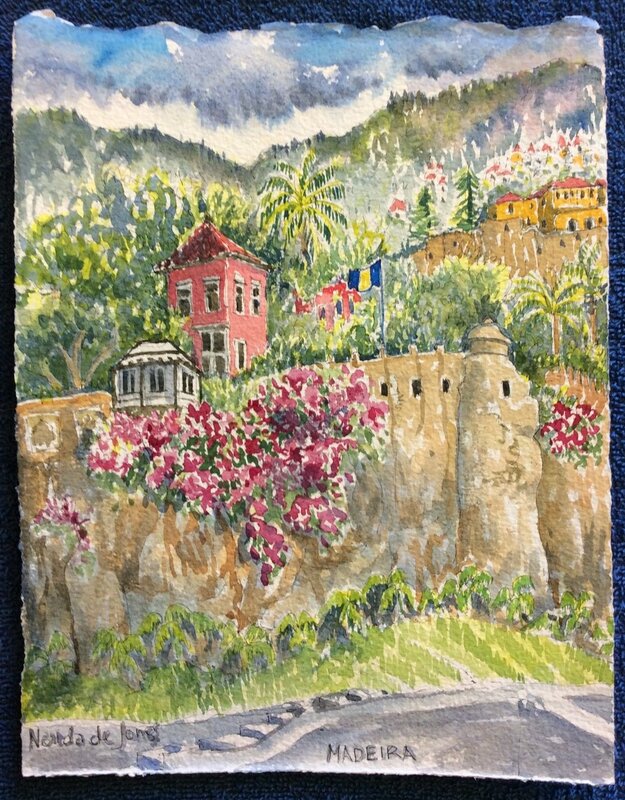 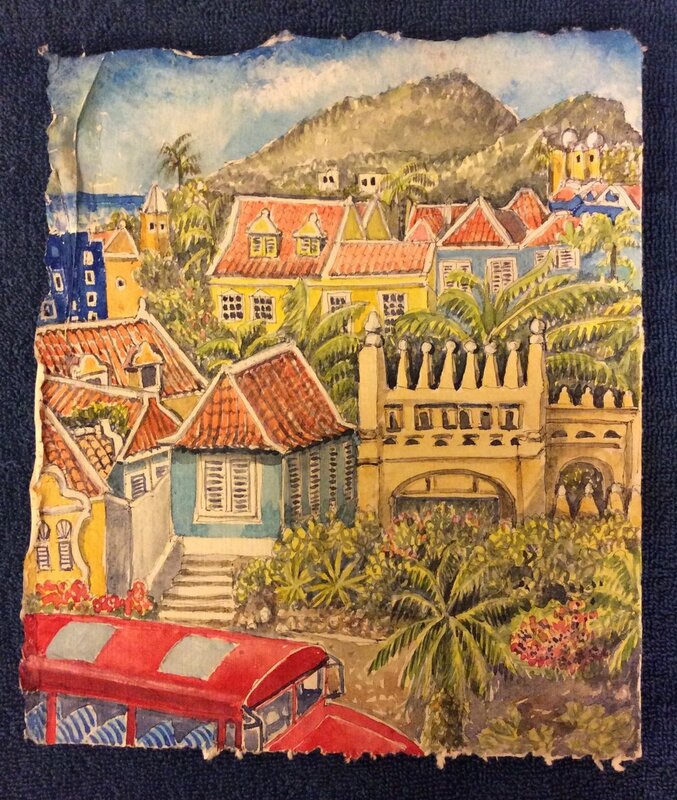 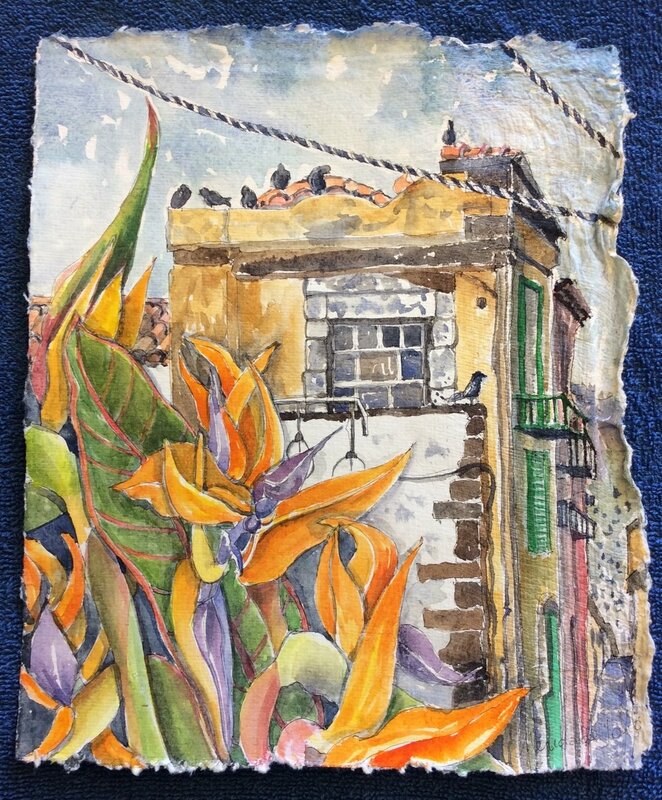 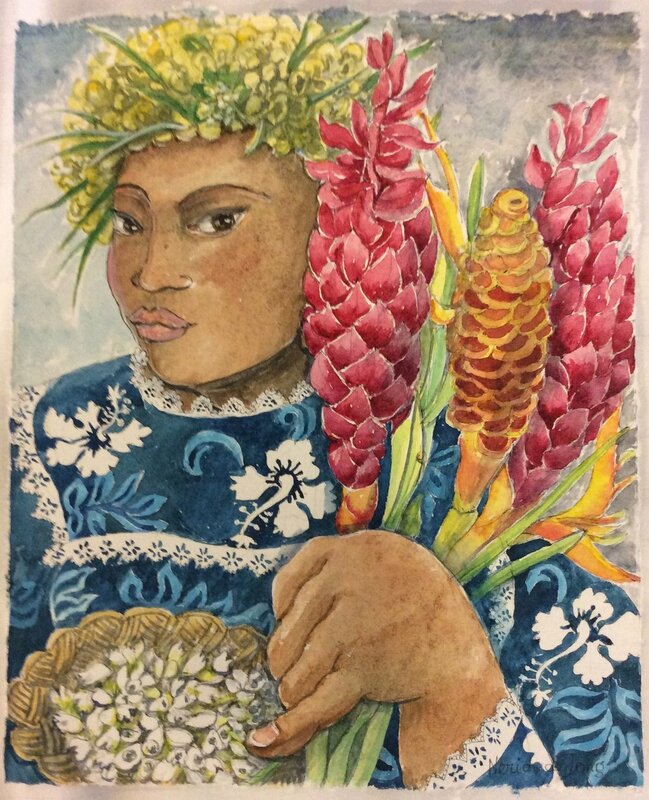 The Travel series offers watercolours on 20cm x 30cm paper of Madeira, Barbados, Curacao, Hawaii, Tahiti and San Fransisco. 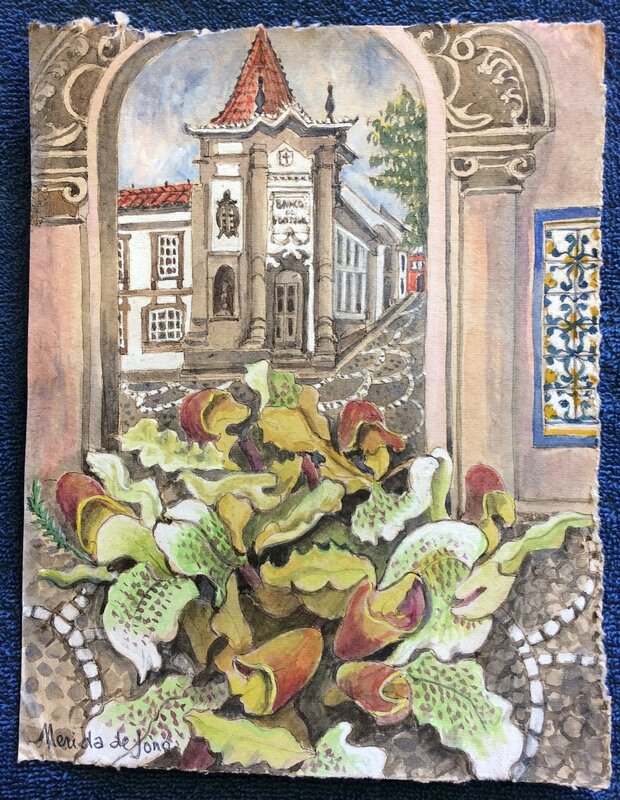 All paintings are for sale and those that are sold will say so at the bottom of each image.For prices and more details please contact Nerida direct.